Vikram playing the lead role in the upcoming film Ai is busy with its shooting schedules at brisk pace. was halted due to some reasons. But thier was no truth in those rumours. The film unit officially informed that the shooting of songs will be done shortly. Amy Jackson is romancing Vikram in Ai film which is being shaped up in the hands of Shankar. AR.Rehman is scoring tunes for Ai and cinematography is by PC Sreeram. 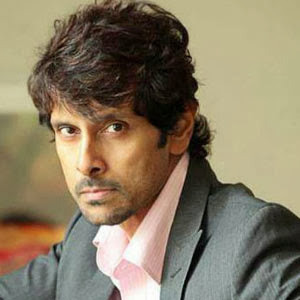 Aascar Films is producing Vikram's Ai.